Arizona Non-Compete Clauses: When you decide to leave a job, you may think you are free to go and work wherever you want, but that is often not the case. A non-compete clause, non-solicitation agreement or other restrictive covenant could prevent you from holding certain jobs or working in a particular industry for a period of time after you leave your current job. If your employment separation agreement includes a non-compete clause, you might think twice about signing that too, as it limits the work you may seek at a time when you need work the most. It’s enforceable across many states, unless it’s too restrictive in whole or part. Still, your employer might try to get you to sign the unenforceable anyway, as an intimidation tactic. It happens. If you termination agreement includes non-compete or non-solicitation language or clause proceed with extra caution before signing. It is valuable to seek the review of an Arizona severance attorney to ensure you are not unfairly or unnecessarily restricting your future career opportunities. Confidentiality or Non-Disclosure Clause: The same goes if your employment separation agreement includes a confidentiality or no-disclosure clause, asking you to agree not to disclose or profit from company trade secrets, customer lists, leads and so on. It’s pretty much a no-brainer that you shouldn’t disclose or profit from company trade secrets, stolen customer lists, etc. But a non-disclosure clause might limit you in many other ways, too. To be enforceable, a non-disclosure clause must legitimately protect the company’s business interests. But again, your employer might try to get you to sign the unenforceable anyway. It’s not unheard of for a company to try to protect that which it has no right to protect, such as common industry knowledge. Don’t put yourself in a situation that could lead to litigation against you by your former employer by agreeing to not disclose information not legally covered under the law. Liquidated Damages or Forfeiture Clause: Many severance agreements provide that you will have to pay your employer “liquidated damages” if you don’t keep all of the promises you made in the agreement. Often, the liquidated damages will be the complete forfeiture of your severance benefits. Do not sign a severance agreement that contains this type of liquidated damages or similar forfeiture clause. It is totally unfair and gives the company too much leverage over you. For example, should you lose all of your benefits because you told one of your good friends in confidence what your severance benefits were? Also, who is to say whether or not you kept your promises? Should this decision be left to the company? And if the decision is going to be made by a court, can you afford the costs of a lawsuit? You can avoid these and other problems if you negotiate a severance agreement that either omits a liquidated damages clause completely, or contains a clause that requires at best only a minimal amount of damages. It is not to say that a severance package offered to you containing a liquidated damage or forfeiture clause could not still benefit you, it would just require a trained eye and experienced negotiation skills to work to get the agreement modified to better protect your interests. Choice of law provisions: You want certainty, so try to obtain Arizona law as the governing choice of law. Additionally, forum questions (choosing Arizona as the place to resolve matters). Arbitration Provisions: These types of provisions can be onerous and unfair to the employee. 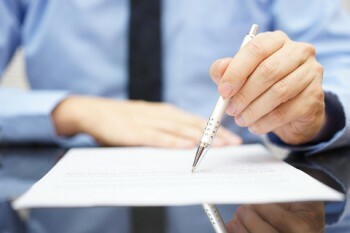 Employees are cautioned about agreeing to arbitrate since it the cost of arbitration can (and is often) more than actually taking the matter to court. Employment contracts and non-competes can be easily misunderstood, often favoring the employer. If you are facing a decision concerning one of these issues, please contact our office for a consultation.